IF there is still someone wondering, what is this Grand Champagne Helsinki Event? I try to explain with my own experience. Grand Champagne Helsinki (GCHelsinki) is a wine event, specialising on the wines (mostly sparkling/champagne) coming from the Champagne region of France, to say it right, one of the biggest Champagne events in Europe. Therefore makes many wonder, this is really happening in Helsinki, Finland, really!!! This year, 2017, was the 3rd year it was organised. Who are the names behind it then? There are mainly three names behind the organization, Taru From and Christian From of Ceesta Shop and Essi Avellan MW(Master of Wine, Avelvino Oy). Here I have to mention also the name, Samuil Angelov, sommelier and restaurateur, who is taking a lot of action in the organisation. GCHelsinki, I think, is a very big event for Finnish gastronomy and tourism and it should be supported on the official level so I hope City of Helsinki will turn their eyes on and support the event in a huge scale. 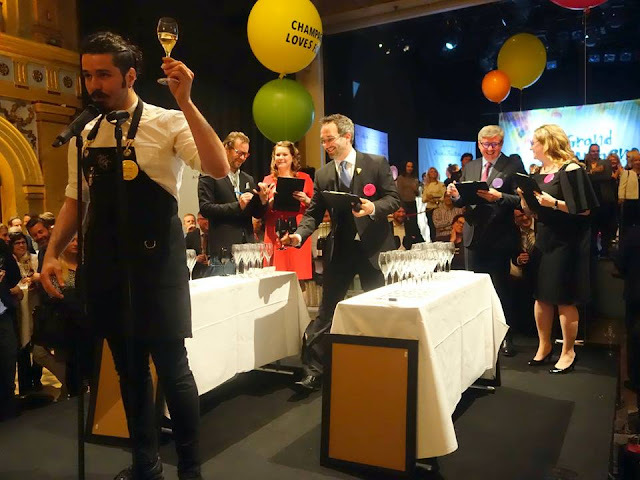 The last event got tickets sold in 10 different countries and welcomed guests from all over Europe and other regions with guests who are into wine, specifically into champagne. The event collaborates with wine importing companies and they invite some big rockstars from Champagne region. This year among the guests were Champagne Louis Roederer Cellar Master Jean-Baptiste Lecaillon, Champagne Philipponnat President Charles Philipponnat, Champagne Drappier Proprietor Michel Drappier, Champagne Pierre Gimonnet & Fils Proprietor Didier Gimonnet and many more and you are simply able to meet and talk to these people about their stories through their personal and business life. Also these people set very interesting "Masterclasses" where you can get a lot of information from them about the wines and their production while tasting those wines with them. It is quite a big thing to have this opportunity right here at home, Helsinki. So from that perspective GCHelsinki is big, I think. Very big. 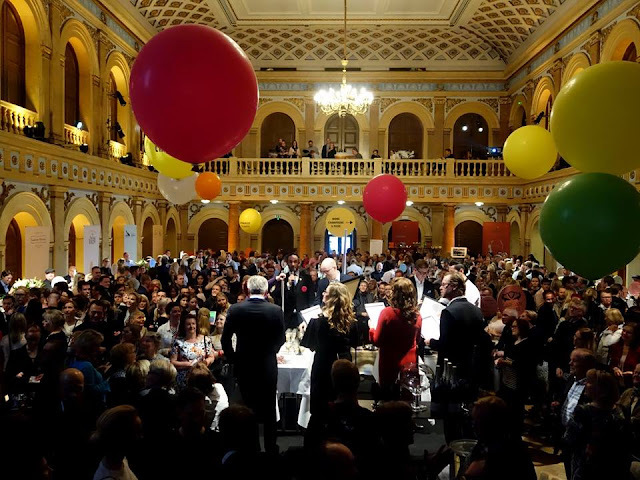 During the events many restaurant in the city offer champagne deals and winemaker dinners, as well as, surprisingly, the giant monopoly of Finland, Alko, offers special champagnes such as vintages with slightly reasonable prices. Also the very dear friend now Michael Boudot, a young photographer from Reims, Champagne, runs a photo exhibition where you can also buy his works. He is also the photographer of Essi Avellan's Champagne book. At the very first day, there is the "Champagne Challenge Competition" where you are entitled to do different tasks on the stage in front of the whole crowd. This year's task were choosing a champagne in the hall and introducing it with your sommelier skills including its story and why you chose that wine to introduce to the guests, and then a blind tasting, and then a quiz and then a pouring session. For example, for the first part, I chose Louis Roederer's Crystal cuvee to introduce, because I thought it was a perfect wine to talk about in Helsinki, since the Cuvee is made for Char Alexander II of Russia, who did make Helsinki as the capital of Finland when Finland was still a Russian grand duchy. His sculptor stands in the middle of Senate Square today and we walk in front of it almost every day. So that cuvee has a strong connection to Helsinki. And then we tasted 3 different champagnes blind, with such questions like "which one is malolactic fermentation?" and so on. These questions also surprised the French guests in the jury asking "Isnt it little bit too hard?" but yeah, never meaning that I knew everything right, a well experienced sommelier should have at least some ideas about the deep knowledge of wine production but guessing a malolactic fermentation right, can be very hard sometimes. And then a quiz on the giant screen, with such questions like there was a photo of Gerard Basset and asking "Who is this?" (well, I might sound harsh, but my dear friends, seriously, every sommelier should know who is Gerard Basset!!!) or a vineyard or a chateau photo from anywhere in the world and so on. And then a blind tasting and a pouring sesssion follows each other. 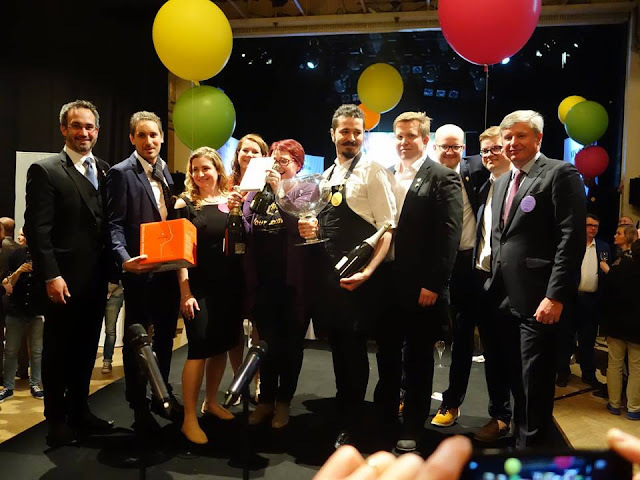 Now almost the same team, Taru&Christian of Ceesta shop also organising a similar event that is called Grand Vin Helsinki, same people same attitude but different concept(http://grandvinhelsinki.fi) . This time it is not only focusing of champagne but still wines all around the world. And again, many winemakers and professionals coming to Helsinki for a weekend event and some of them are setting masterclasses also. It is definitely something to check and keep eyes on, it is here and it is here to stay, it will get bigger and more diverse next year I am sure. So, long story short, don't be afraid of the competitions, get ready for it and show that you can do it, show that you have the balls to compete and join the trail of Champagne Masters on the upcoming years. 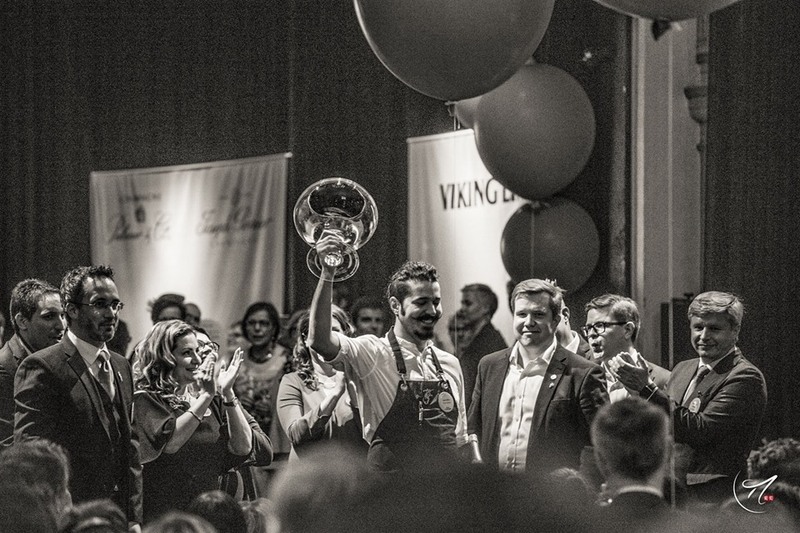 Follow the new event Grand Vin Helsinki and do not forget to book the dates in your calendar! May your glass be filled with "Grande" Wines!